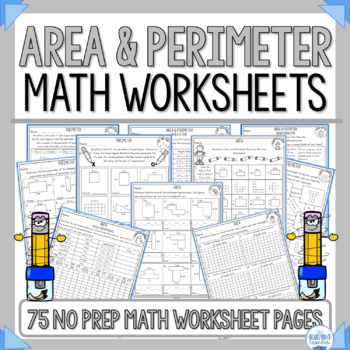 This is a collection of 55 Fun and Educational Area & Perimeter Worksheets! 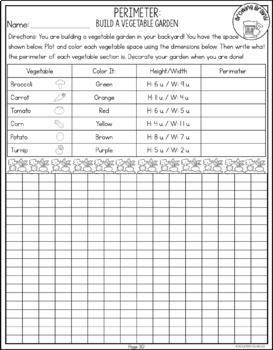 These worksheets are perfect for homework, classwork, and centers. No prep is involved! All you need to do is print. My students really enjoy these worksheets because each page includes a fun activity. 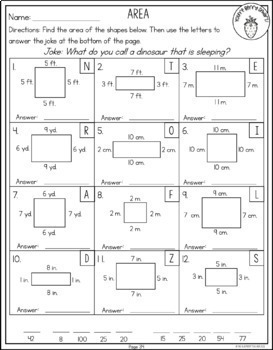 All worksheets include jokes, word scrambles, cut and paste, mazes, matching, puzzles and more! Check out the preview for a sample of some of the worksheets! 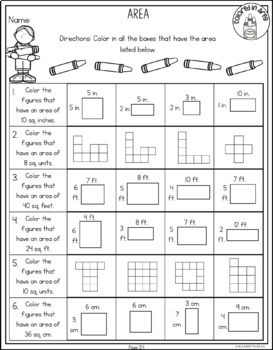 These worksheets are geared towards third grade but also work really well in second! Looking for more Area & Perimeter Activities?